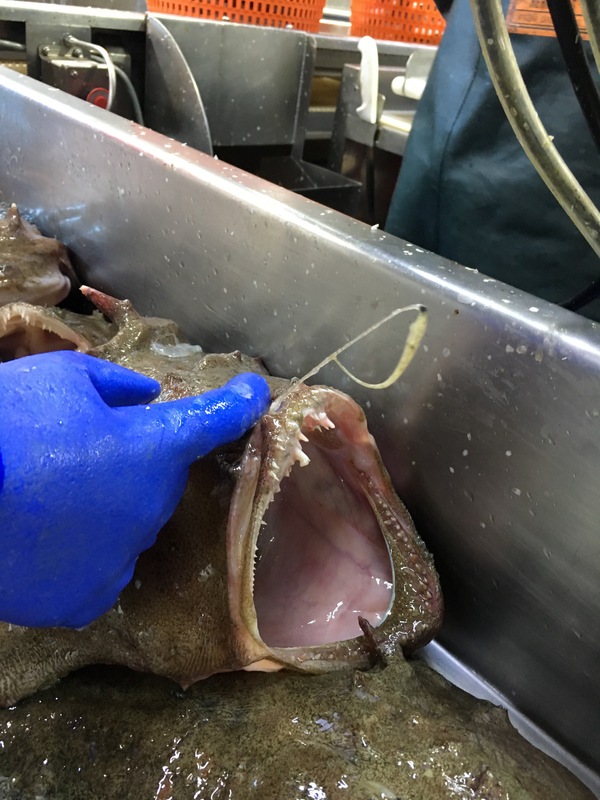 One of the most interesting looking fish we have brought on board in the nets is the Goosefish (Lophius americanus), also known as the Monkfish. 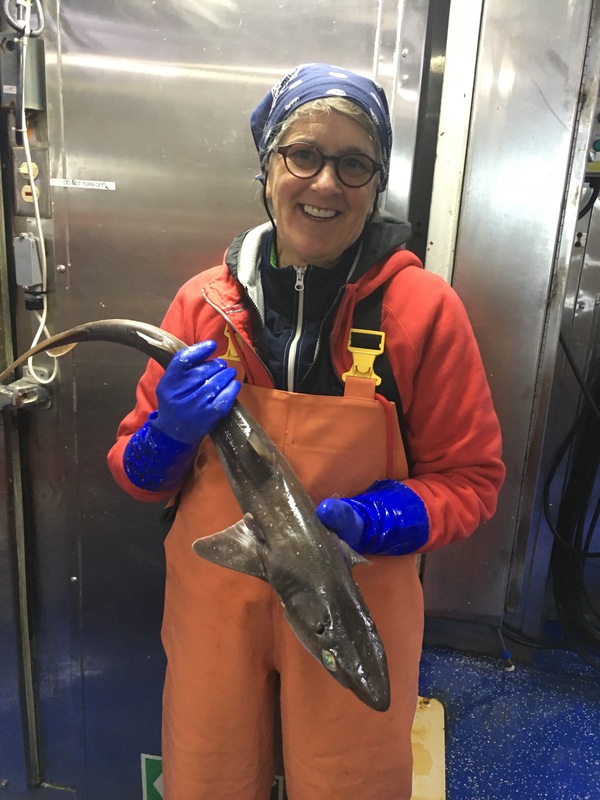 Its striking feature is its large mouth that can be as wide as the fish is long, lined with several rows of needle sharp teeth. 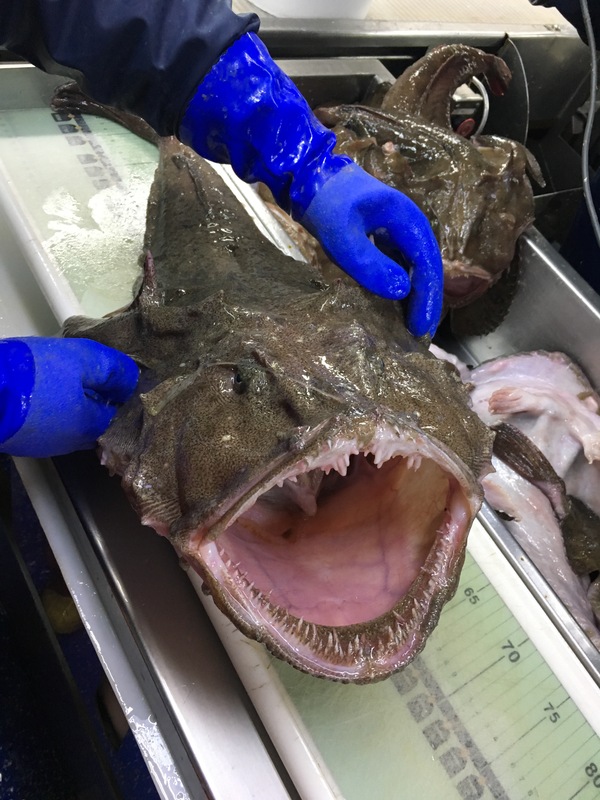 The Goosefish has a mobile illicium, an angling apparatus with a fleshy appendage at its tip, the esca, that acts as a lure to attract its prey towards its huge mouth. 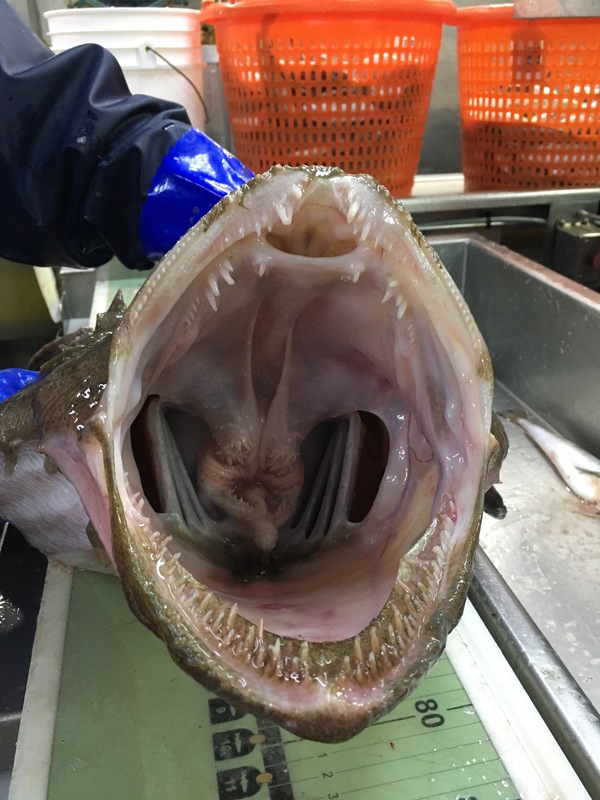 When the Goosefish opens its mouth suddenly, a vacuum is created and its prey is sucked into its cavernous mouth. Its eyes are on the top of its head and there are small fleshy flaps encircling then lower jaw, almost a beard-like appearance. Its back is lined with spikes. The female lays an egg veil that can stretch 6-12 meters. 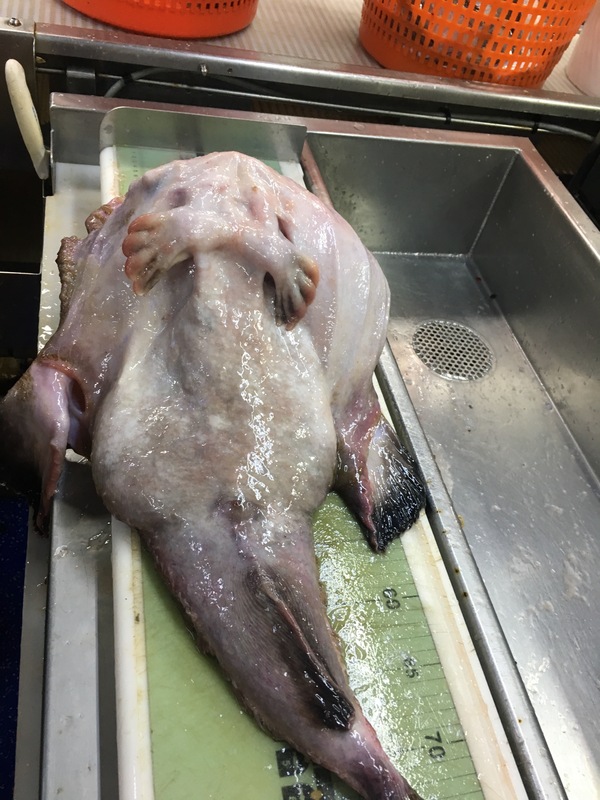 Goosefish weighed and measured on the scales. The underbelly of the Goosefish. 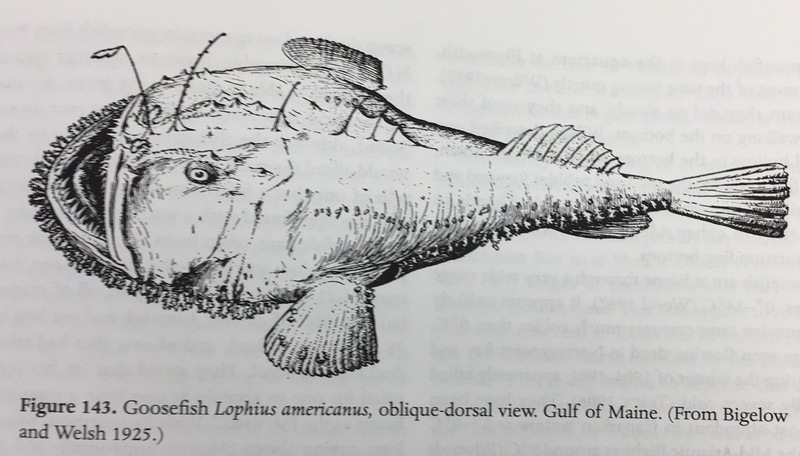 Diagram: “Fishes of The Gulf of Maine”, Bigelow and Schroeder, 3rd edition.The Goosefish is marketed as Monkfish for consumption. 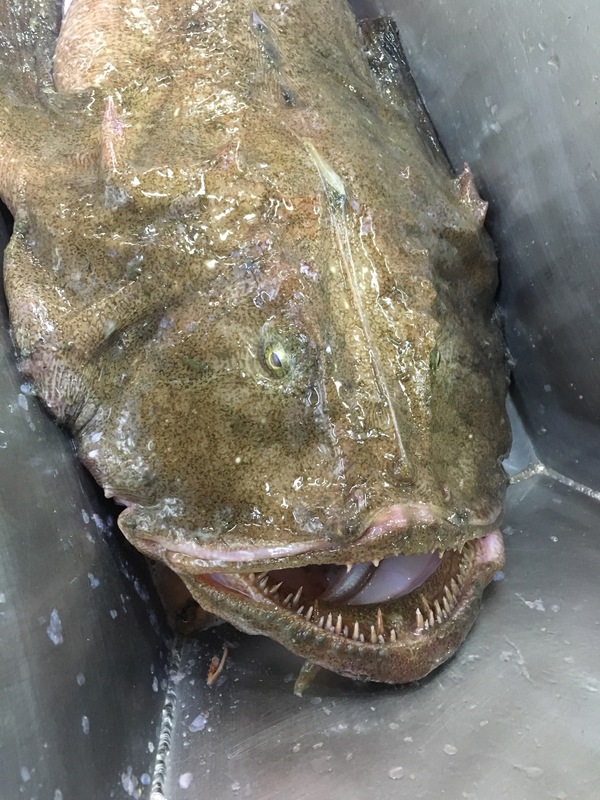 Did you know the Goosefish is also known as the “poor man’s lobster” because of its light taste similar to lobster. 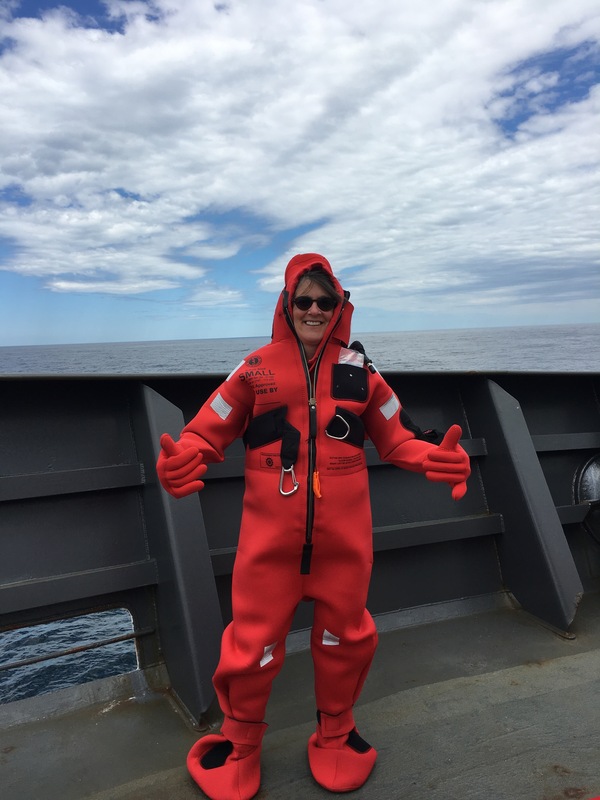 This entry was posted in 2017, Cecelia Carroll, NOAA Teacher at Sea and tagged goosefish, monkfish, NOAA ship Bigelow, spring bottom trawl survey. Bookmark the permalink.